IT WORKS WITH giants of the gaming industry such as EA Sports, Konami and Ubisoft and commands a billion-euro market value, but there’s every chance you’ve never heard of Keywords Studios. Andrew Day, the chief executive of the Dublin-based company, has been trying to change that over the past eight years since he first joined the outfit Giorgio Guastalla set up in Ireland in 1998. When Day joined Keywords Studios, taking over the reins from Guastalla, it was a relatively small operation with revenues of about €3.5 million and 50 staff on the books. But his plan has been to turn the company into a one-stop shop for all facets of video game development. Day says that multibillion-dollar companies like Electronic Arts and Nintendo, which are the face of the gaming industry, rely on hundreds of small external companies to develop artwork, record character voices and do customer support for video games. Keywords Studios was one of those small suppliers eight years ago, specialising in translating language and cultural references that feature in video games for different foreign markets. It has been a slow and steady rise since then as the company has grown to become a significant player in the industry. Day says the firm was “quietly” self-funded to a stage where it could float on the London Stock Exchange’s junior market, which it did in 2013 – raising €32.5 million in the process. Since then, Keywords Studios has grown its Dublin staff to 120, while its global headcount stood at more than 2,600 at the end of last year – before a series of acquisitions swelled its workforce further. This year alone the firm has acquired seven companies and last year it bought eight, while in the past 12 months the company’s share price has tripled, taking its market cap to around £900 million (€1 billion). The latest firm it took over was US games outfit VMC, which employs around 1,300 people either directly or indirectly, for $66 million. Keywords Studios now has a much wider spread of services than just the translation and localisation of video games. It now develops art such as monsters for video games developers, records voices for characters in its Hollywood studio, does customer support and it can even develop entire games for some clients as well. According to stockbrokers Davy, the VMC acquisition made Keywords Studios the biggest functional games tester in the world. However Day says the business is aiming to become a major player across all the services it provides. The company raised £75 million last month from issuing new shares, and Day says that funding and the firm’s ongoing cashflow will help it continue snapping up smaller players. Keywords Studios divides its operation up into seven core categories, according to Day. These include: art, engineering, functional testing, audio recording, translation, localisation and player support. Day says the one service his firm might be missing out on could be the provision of analytics for video games, which could influence what firms it targets for takeovers in future. The demand from analytics has come from a shift in gaming from offline to online. This has also increased the requirement for more customer support. Another massive shift in gaming that Day sees taking place in the near future is the mainstream explosion of virtual (VR) and augmented reality (AR) games on the market. The VR and AR market is tipped to be worth hundreds of billions as soon as 2020, but the affordability of the hardware is so far holding back its growth, according to Day. He says Keywords Studios is already deeply involved in the sector and working with the likes of the Facebook-owned virtual reality firm Oculus Rift. Even though Day is confident that VR and AR are not just fads, he says the company won’t be making any big bets on providing its services to specific aspects of the games industry. He says the company wants to spread its bets and not fall into the trap of relying on one major game title, company or trend. “We want major games firms to rely on us to do the artwork, help them with the coding, do the testing and provide the customer support so they can become leaner. Day adds that being this all-in-one provider to many different major games firms is the main way he sees Keywords Studios hitting its next big milestone – €300 million in revenue by 2019. Last year, the firm recorded revenue of £79 million – nearly double the 2015 tally – and a net profit of more than £5 million. So it’s a big leap. 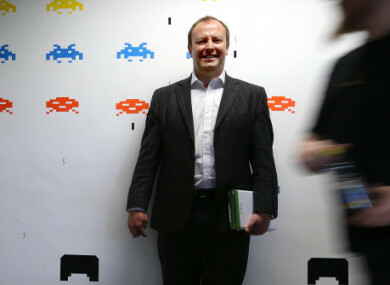 Email “This billion-euro Irish firm is shopping its way to become a gaming industry giant”. Feedback on “This billion-euro Irish firm is shopping its way to become a gaming industry giant”.